Known for its delightful mangoes, Malihabad, situated 25 km from the state capital, is all set to become a part of the Jewish tourist circuit in the country. The tehsil houses 650 Afridi Pathans believed to be decedents of one of the ten lost Biblical Israelite tribes. The fact has prompted two leading Israeli travel companies to market Malihabad as a tourist destination for Jewish community world over with the theme “The Lost Tribe Challenge”. As a first step in this direction, Mosh Savir of Shai Bar Ilan Geographical Tours and Dudu Landau of Eretz Ahavati Nature Tours recently toured Malihabad along with Indian tour operator Col SP Ahuja to conduct a ground survey for facilitating the first “theme tour”, expected in November 2008.
dialogue between the natives and the visitors in addition to sightseeing, lectures and exposure to local handicraft such as Chikan and Zardozi. Malihabad is also the birth place of famous Urdu poet Josh Malihabadi, who was also an Afridi Pathan. Another illustrious Afridi Pathan from Malihabad is Ghaus Mohammed Khan, first Indian to reach the Wimbledon quarter-finals in 1939. The tour will also include Qayamganj in Farrukhbad district of UP. Qayamaganj has produced famous Afridi Pathan like Zakir Husain, India’s third President. While Afridi Pathans are Muslims, some of their old customs have slight resemblance with Israeli traditions. “We have no intention of preaching Judaism. The expedition will help our people understand, enjoy and appreciate different cultural customs, practices and folklores,” explained Dudu Landau. Mosh Savir, on the other hand, felt that it will also increase the demand for special interest tourism. History has it that the 10 Israelite tribes of the northern Kingdom of Israel were exiled by the Assyrians invaders in 721 BC. It is also believed that some of the descendants of the tribes settled in India. “Pathan tribes came to India between 1202 AD and 1761 AD along with Muslim and Afghani invaders and settled in different parts of the country. Afridi Pathans of Malihabad came from the North Western Frontier Province, now in Pakistan,” claimed Navras Jaat Aafreedi, an Afridi Pathan himself, who has conducted a research which supports the theory of Jewish origin of the Afridis. “Afridi pathans are descedents of Ephraim Tribe, one of the lost tribes,” said Navras who was also a part of the ground survey. However, today Afridi pathans are ignorant about their past and are averse to the idea of being linked with Jews. Hence there are apprehensions that such visits might invite opposition. But Navras says “India as a secular state provides Jews with an opportunity to understand Muslims closely which is not possible in Israel because of the Muslim-Jew confrontation”. 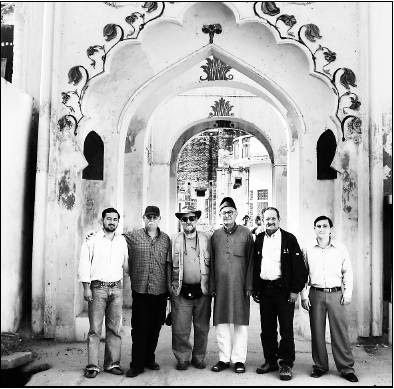 For the last few years, Malihabad and Qayamganj have been centres of attraction for researchers interested in tracing lost tribes. 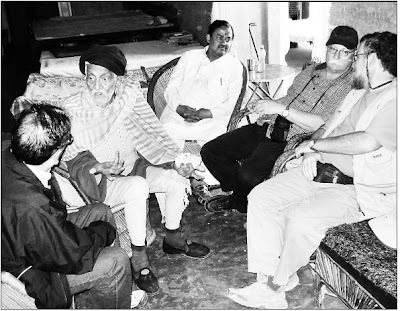 In November 2002, a team headed by Prof Tudor Parfitt, director of the Centre of Jewish Studies, London University, had visited Malihabad to collect DNA samples of Afridi Pathans in order to confirm their putative Israeli descent. The results are still awaited. Eyal Beeri, from Lander Institute, Jerusalem had visited Malihabad in October 2007. Apart from Malihabad and Qayamganj, the theme tours will also take tourists to areas inhabited by Bnei Menashes in Manipur and Mizoram. Beni Menashe is the name adopted by people who earlier belonged to Kuki, Chin and Lushai tribes of Northeast but now have embraced Judaism as they believe that they are decedents of Menashe, one of the lost Israelite tribes. In Hebrew, Beni Menashe means children of Menashe. Around 1,000 out of over 8,000 Beni Menashes of India have already settled in Israel. This is another propaganda of Paunjabis against Pashtuns soon they will start calling Pashtuns Israilis and try to Kill them. I am sure this site is also that of a dirty Punjabi who is using the surname Afridi to gain some authority.